It is hoped that through this information the traveller will be able to find a London that is more interesting, rewarding and fulfilling than can be found when only the main tourist attractions and locations are visited. Woburn Walk is an attractive Victorian pedestrian street at the northern end of Bloomsbury, just south of Euston Station. 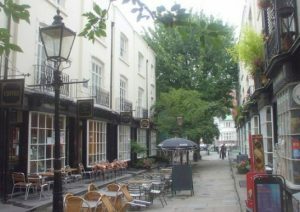 It was designed by architect Thomas Cubitt in 1822 as a pedestrian street – hence the street’s name today ‘Woburn Walk’. 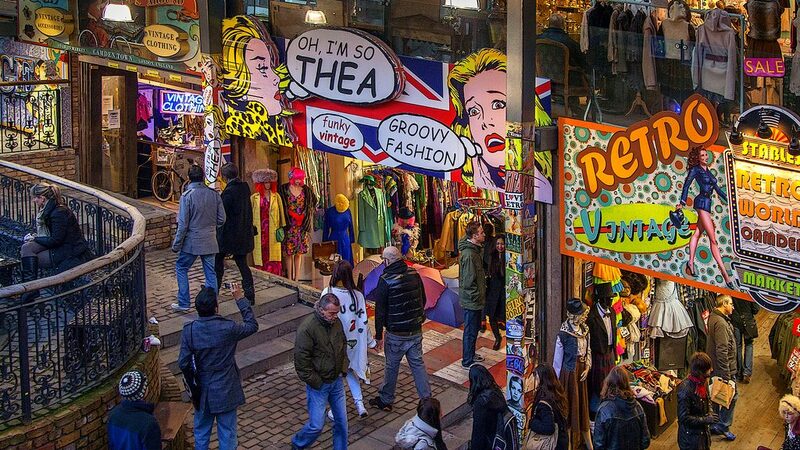 As such it was London’s first purpose-built pedestrianized shopping street. Much of the architecture has been preserved, including the Dickensian bow-fronted buildings. Today these buildings house a variety of shops – including bookshops, galleries, restaurants. 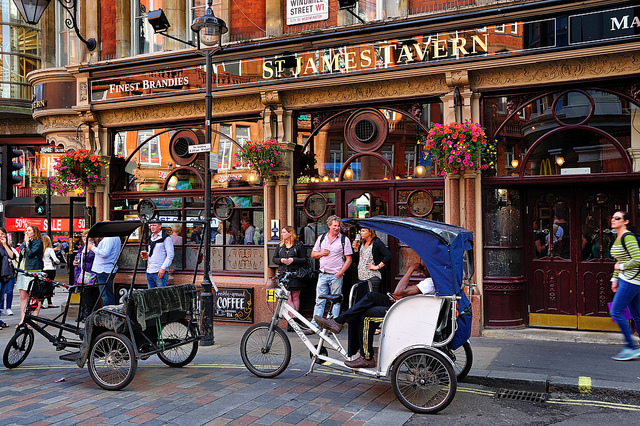 Despite its proximity to the travel hubs of Euston and Kings Cross, this charming walk is not well known by visitors to London but it is worth a visit. History: Thomas Cubitt’s original street of shops turned at right angles northwards to Euston Road, circling the churchyard of St. Pancras New Church. Originally both sections of this street were known as Woburn Buildings. Today the section that runs north is named Duke’s Road. The east-west section is now called Woburn Walk. Several of the buildings are Grade II* listed (No. 1-9 and 9a, Woburn Walk). 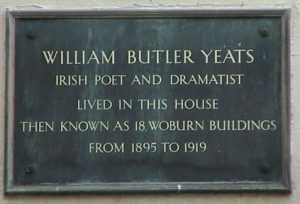 Literary Connections: From 1895 to 1919, Irish poet, Nobel Prize winner and dramatist W. B. Yeats lived on Woburn Walk. In the day he lived at 18, Woburn Buildings – today this building is 5, Woburn Walk. Yeats chose this area, which was quite unfashionable at the time, to be closer to “the people”. He held Monday evening social gatherings that were often attended by many members of London’s literary circle. Ezra Pound, an American expatriate, was fascinated with Yeats and made a concerted effort to join his circle. Moving into a flat at nearby 48 Langham Street, it wasn’t long before he was entrenched in this literary circle. Soon he was acting as co-host for many of the events in Yeat’s house and is documented as freely handing out Yeats’ wine and cigarettes. T. S. Eliot was often in attendance too (he lived nearby at 28 Bedford Place). After Yeats moved out, Irish Nationalist Maud Gonne took up residency. She was considered by many the most beautiful Irish woman, and was the love of Yeats life. He considered her to have “the carriage and features of a goddess”. 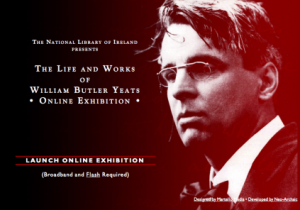 For those interested in learning about Yeats the National Library of Ireland has a wonderful online exhibition worth a visit. The Walk Today: There is an eclectic mix of retail, office space and restaurants here today – even a holistic centre. There are several cafes along the walk many with outdoor seating making it an attractive place to take a break. You will also see the location in many TV shows and films given its period Victorian look, particularly at night. Similar Suggestions: If you enjoy discovering streets that feel like a discovery, see our posts on Shepherd Market (a hidden village in London) and Goodwin’s Court (a secret alley).